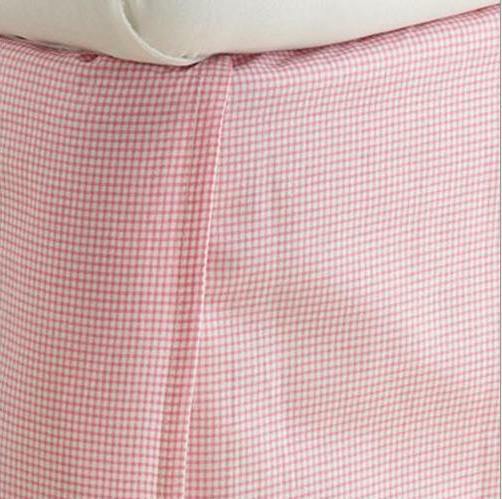 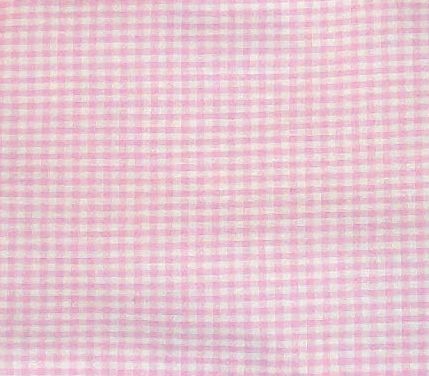 Pink & white gingham check print. 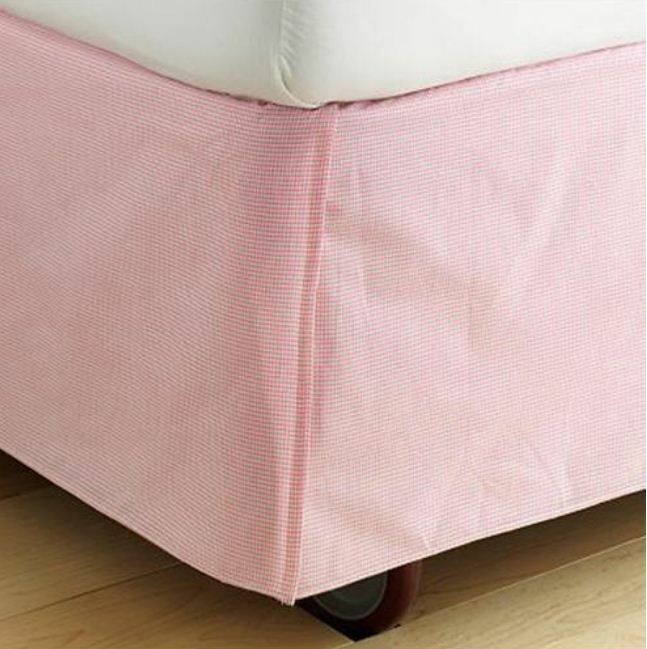 Box pleat style (flat front) with a center pleat on each side. Corners are open to accommodate bedframes.